This is not a good locality, but I include it here for those who may be interested. There are allegedly pegmatite and staurolite-garnet schist outcrops at the confluence of Lamberton Branch and Northwest Branch, but I could not find them. I did find some interesting tourmaline-muscovite-biotite schist cobbles in the Lamberton Branch creek bed. 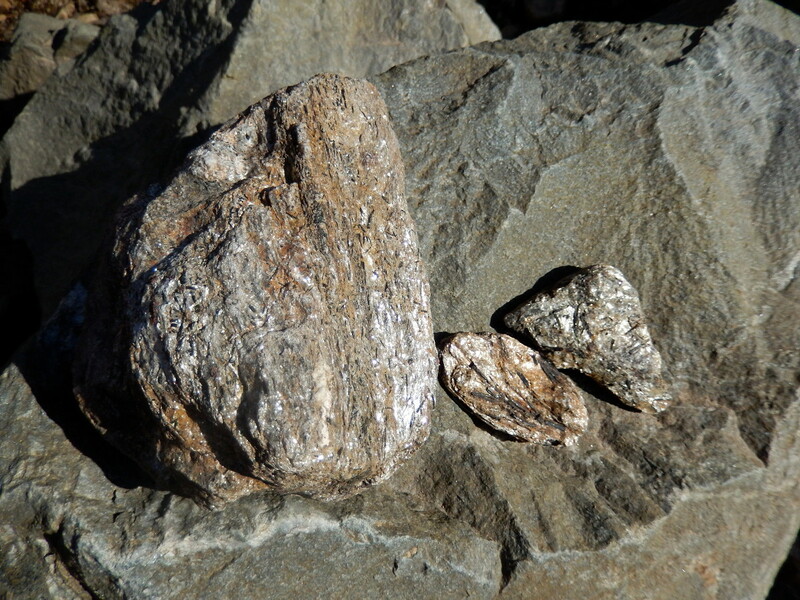 There are also sparse blocks of garnet schist in the area. Examining the fluvial material in Lamberton Branch may be worthwhile. 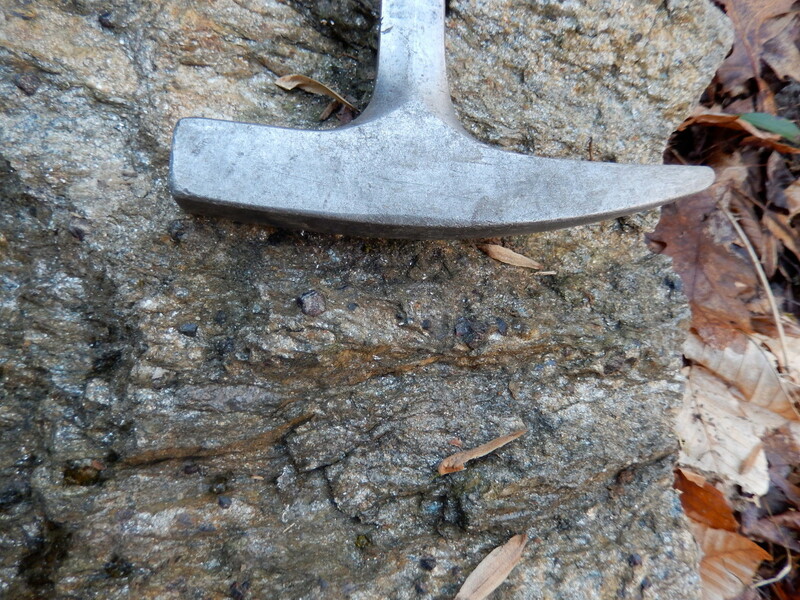 Splitting open cobbles and hammering on boulders in the creek bed is probably the most effective means of finding interesting samples in this area, as the schist outcrops have largely rotted out. To get to this area, drive to the very end of Lamberton Drive in Silver Spring. There is an area at the end of the street to park. 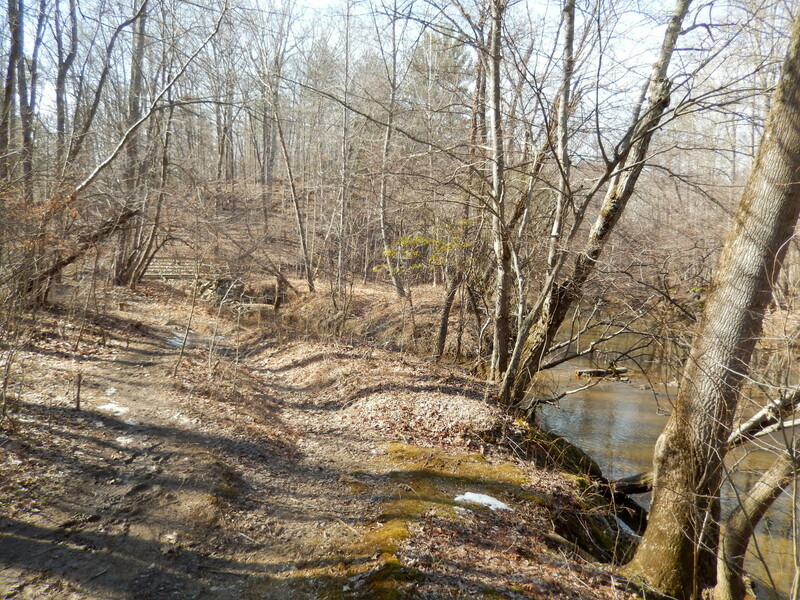 Follow a path down to a footbridge over Lamberton Branch. You can begin your investigations under the footbridge.